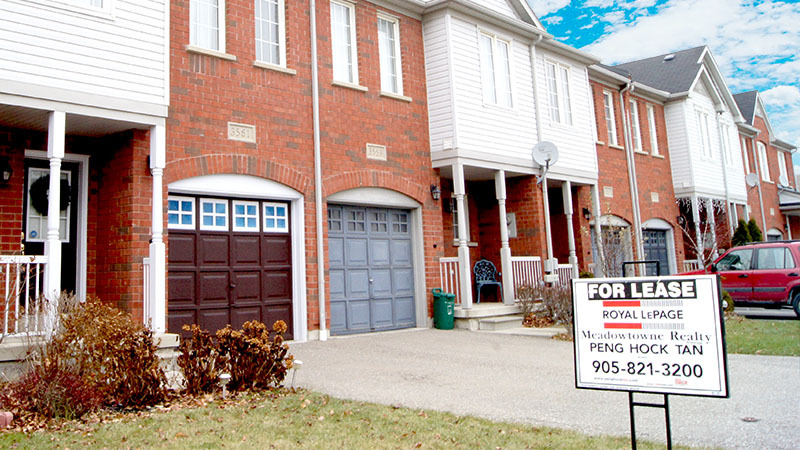 After home sales ramped up late in 2013, Canada’s housing market should continue to favour sellers for the first part of 2014 before balancing out for the rest of the year, Royal LePage says. In a report released Thursday, the agency pins its optimism on robust housing sales in late 2013 after a year-long “correctional cycle” that saw a considerable slowdown in home-buying. The report says sales will continue their strong momentum for the first half of 2014, and dismisses concerns from some experts who predict a “soft landing,” or a mild correction in housing prices after years of increases. The report noted that the average price of a home in Canada increased between 1.2 per cent and 3.8 per cent in the fourth quarter. According to the report, the price of a standard two-storey home rose 3.6 per cent year-over-year in the fourth quarter to $418,282. The price of a detached bungalow rose 3.8 per cent to $380,710, while the price of a standard condominium rose 1.2 per cent to $246,530. Phil Soper, president and CEO of Royal LePage, told CTV News Channel that while 2013 was good year for Canadian home buyers, this market seems to favour sellers in 2014. “It is a cyclical industry … last year, the first half of 2013 was very good for buyers, so what goes around comes around. The markets responding to the end of a correctionary cycle,” he said. Soper noted that cities in western Canada saw the largest increase in home prices, with Calgary slated to see a 5.1-per-cent jump, with home prices averaging around $461,000. “The western cities of Calgary and Vancouver lead our forecast this year,” he said. “Calgary is the healthiest economy in Canada. If you look at the unemployment rates in Alberta and Saskatchewan next door, they are half the rate of what we see in Ontario. And there’s a shortage of inventory, a shortage of housing. And when there’s a shortage of a product, its price goes up,” Soper explained. Royal LePage predicts that prices will continue to rise in 2014, and projects a 3.7-per-cent increase nationally. While Soper said the agency does not expect further government intervention in the housing market after Finance Minister Jim Flaherty clamped down on borrowing rules in recent years, Flaherty himself told CTV’s Question Period over the weekend that the government is prepared to intervene if the market gets too hot. Meanwhile, Statistics Canada reports that the New Housing Price Index remained unchanged in November after rising 0.1 per cent in October. The federal agency reported that although prices of new homes rose in eight cities across the country, the increase was offset by decreases in five other cities, leaving the index steady. Prices were up in the Ontario region of St. Catharines-Niagara (+0.8 per cent), as well as in Hamilton (+0.5 per cent), as well as Calgary (+0.4 per cent). However, prices declined in Victoria, Edmonton, Vancouver and the Ottawa-Gatineau region. Overall, the index rose 1.4 per cent year-over-year in November. Meanwhile, Canada Mortgage and Housing Corp. said Thursday that the pace of housing construction slowed in December, but that demand for new homes remained healthy. More than 189,000 units were started in December, down from more than 198,000 in November. Starts in urban areas decreased overall by 5.1 per cent, to 168,214 units. Starts of multiple-dwelling units (condos, apartments and townhomes) in urban areas declined by 4.1 per cent to 108,910 units. Starts of detached units in urban areas fell 6.7 per cent to 59,304 units. BMO Capital Markets senior economist Robert Kavcic said the figures represent a levelling off of building activity after some “underbuilding” during the recession and “overbuilding” as the economy picked up. “We saw a pretty solid run up in the early part of the year in home building activity, but we have seen activity level off,” Kavcic told The Canadian Press.